If you're the type of car-enthusiast who looks for that thrilling ride driven by a dangerously powerful engine, you will love these super rare classic American muscle cars from the 1960s and 70s (ordered below according to rareness). These cars were produced in such small quantities, you've probably never even heard of many of these special models. Typically, muscle cars had 2 doors and a hard top, although some had 4 doors and even a convertible roof. What's a must is that these cars are American-made, and American muscle cars had the power of large-block V8 engines. Furthermore, if they're classic cars, they should be between 30-50 years old. 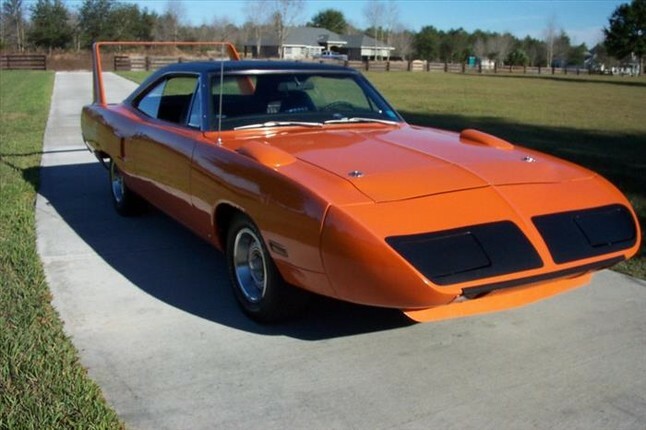 After Plymouth's successful Roadrunner line, this stylish car was produced as a highly modified version in 1970. With its high-mounted, wing-like spoiler, and fitted with a 426 cubic inch Hemi engine plus many MOPAR high performance parts, this car was built purposely for racing. One other unique characteristic about this car was its horn, which mimics the sound of Looney Tunes' Roadrunner. The Camaro ZL-1 was modeled after the L88 version, borrowing some features but taking them to the next level. For instance, the engine block was made of aluminum instead of traditional iron, it only weighs 500 pounds, and it is capable of producing up to 560 horsepower (although it was mistakenly known as being 430). The first 20 cars produced in this model were used for professional racing and the rest were available for sale to the public at a price of $7,200. Although this price drove most consumers away at the time, some cars actually found lucky owners. The Ford Fairline was a Ford full-size model until, in 1962, it was remodeled into the 500 to fit the growing standards of muscle cars at the time. 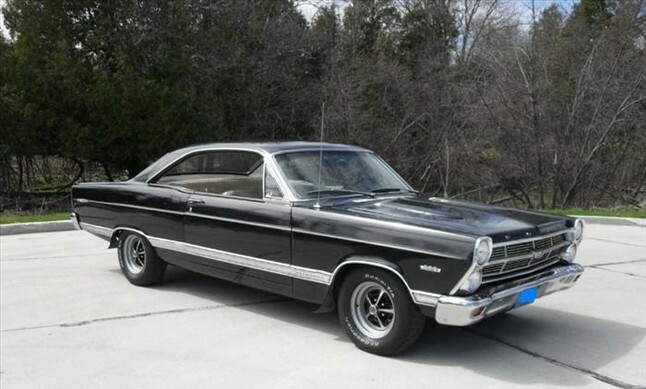 It became the basis for Ford's Torino and Cobra lines. In 1967, the model 500 R-Code was produced (the R signifying the dual quad carburetors it had), with a horsepower rating reaching 425. After being shadowed by the more popular Roadrunner and the more powerful Barracuda lines, the Plymouth's GTX was upgraded to the RO23 GTX model with powerful specifications. Although it was fitted with a 426 cubic inch Hemi engine, it was around 500 pounds lighter than the regular model as parts that were unimportant for its use were removed - such as hubcaps, radio, heater, body insulations and carpet. Due to its powerful engine, the car was designed with larger hood scoops to make way for more airflow. It was quite a fascinating car for 1967, especially since it could go from 0 to 60 in just 4.8 seconds! This Hemi Cuda was a car like no other - with a choice of 5 different engine options ranging from 340 to 440 cubic inches with dual 4-barrel carburetors, this car is classified as one of the rarest and finest of classic cars, especially the superb convertible models. 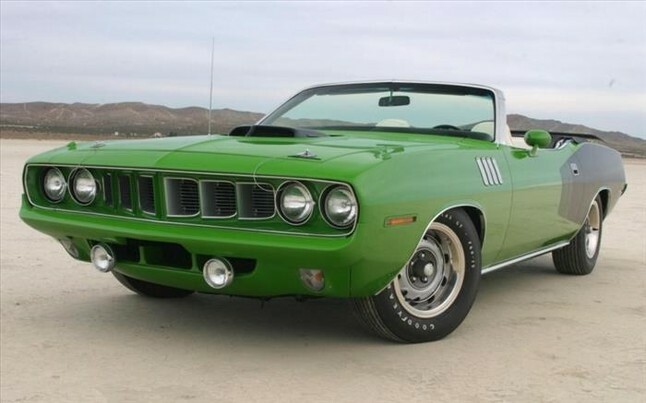 It's a pity that only 21 Cudas were produced, but this poor number may be explained by the increase of $870 in their price, due to the engine upgrade. In fact, many buyers opted for the 440+6 cubic inch model with 3 2-barrel carburetors because it was only $250 more than the base model. This romantic Chevrolet Corvette L88 was produced as part of the L88 racing package in 1967 and 1968. It was manufactured in their factory in St. Louis, Missouri and designed for professional racing purposes. It had a 427 cubic inch Chevy big block engine, which supposedly produced 435 horsepower (although some say it's actually between 540 and 560). 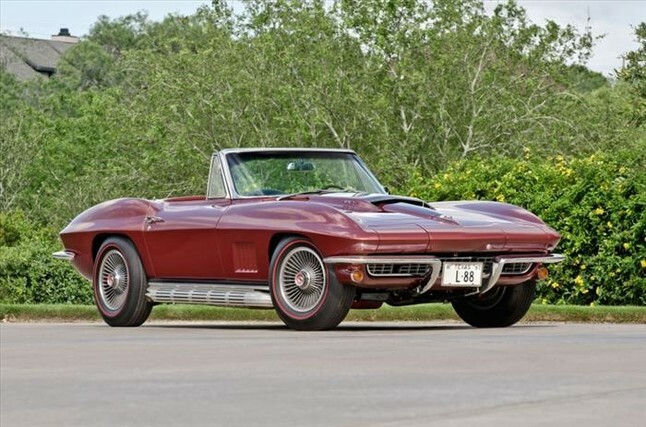 The advertised horsepower was only slightly higher than the regular Corvette, because its makers didn't want consumers to think that it was much better than the everyday Vette. Unfortunately, the L88 production was stopped due to the reported increase in its emissions. Out of the 196 models made, only 20 were the 1967 models, which were the most unique. The elegant 454 LS6 are the rarest Chevelles found. 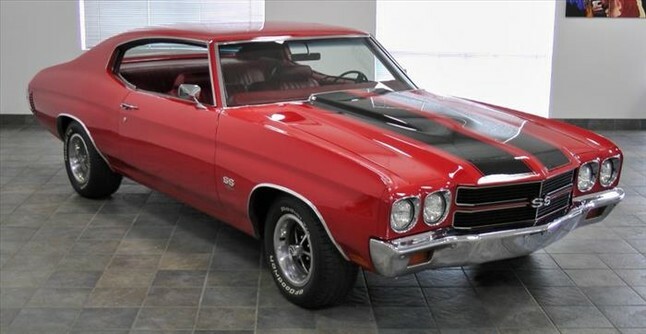 In 1970, Chevelle SS came with the option of either getting an RPO225, which had a 402 cubic inch engine, or a RPO215, which had a 440 cubic inch engine. The LS6 was an exclusive model which was only available on RPO215s with an added 100 horsepower to an impressive 560 horsepower. With the Ferrari 250 GTO being its main inspiration, the convertible GTO Judge was designed by John DeLorean as an upgraded package available for the company's Tempest line. In 1966, it was separated from the Tempest and 3 years later, it was available as an upgraded racing package for GTO. Pontiac got rid of as much of the car's weight as possible in order to make it lighter, and fitted it with a 455 cubic inch engine. 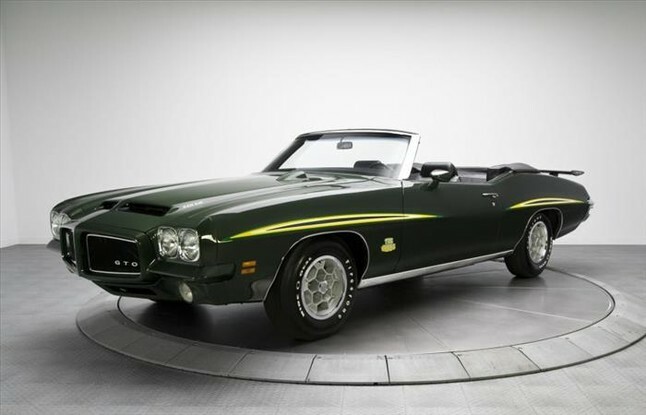 After having produced 207 GTO Judge Convertible models, the company had to stop producing them due to strict emission standards in the U.S. Only 17 of these fine GTOs were made in 1971. The Chevrolet Corvette ZL-1 was a very original model, whose 427 cubic inch engine was made from aluminum with an L88 Special Turbo Jet fuel delivery system, which could produce 500 horsepower. There were only 3 instances of this powerful ZL-1 engine actually being installed in a Corvette - ordered by the factory workers themselves at Chevrolet's Missouri plant. 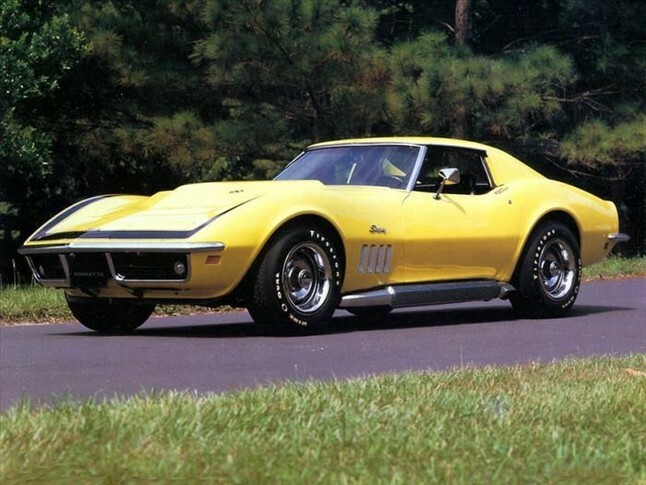 No wonder the price of this car model was $10,771 in 1969 - over $3,000 more than a normal Corvette. And by the way, this price was only given to Chevrolet employees. Imagine how much it would have cost the general public! The very special Dodge, fitted with a 487 Coronet R/T (Road and Track) engine, is possibly the rarest model of classic American muscle cars out there. Just two of these were made in 1967 and another two in 1970. 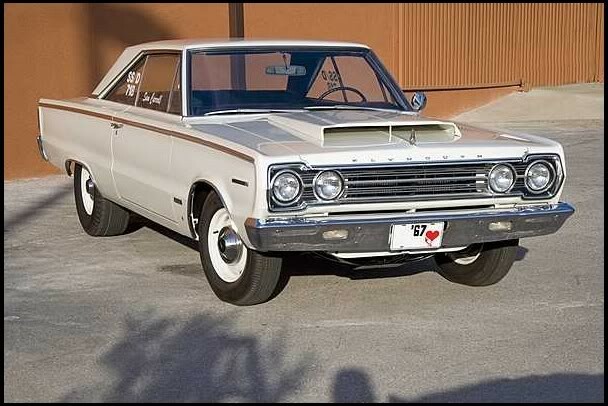 In 1967, it was the Coronet's first attempt at being reproduced into R/T (Road and Track) models, and by 1970 it had received a complete makeover, able to produce up to 425 horsepower. 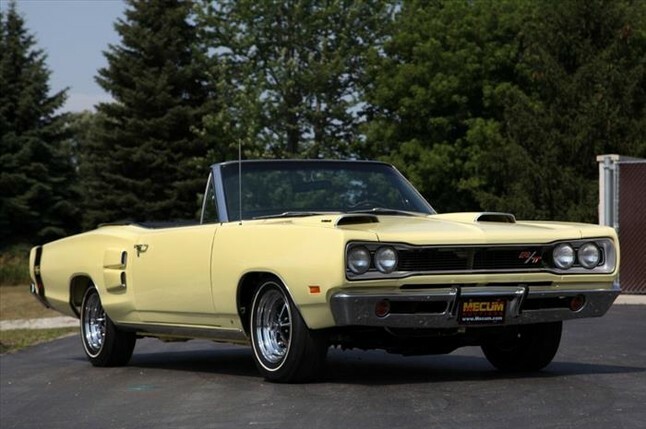 Whoever owns one of the two original 1970 Dodge Coronet R/t 426 Hemi Convertibles is one lucky car lover.